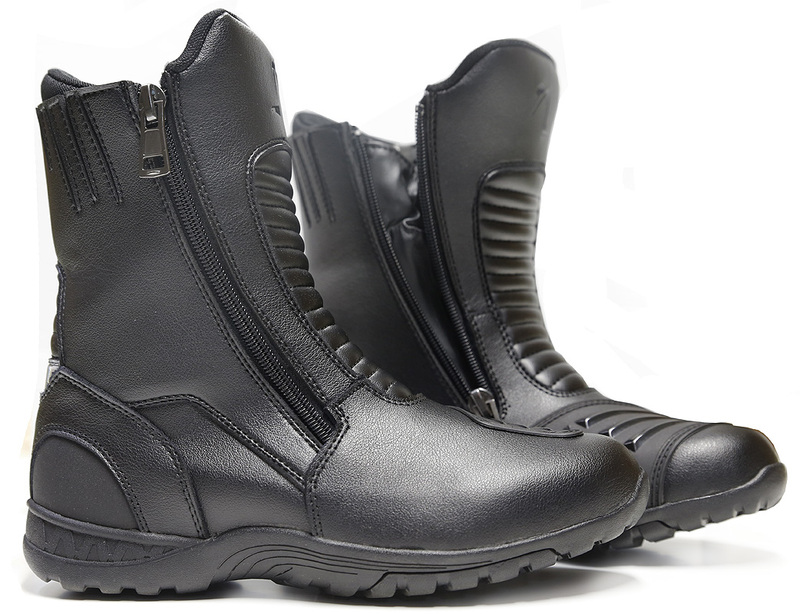 Out Logan boots made in synthetic leather. Two side zippers for a perfect fit. Front and rear padding for added comfort. Elastic zones in the back. Reinforcements on the outside of the ankle.